Anti-virus usually incorporate already anti-malware . However, they are not always effective. Some malicious software passes through the cracks. These malware are more or less dangerous for the computer. Some just display advertisements. But others can steal personal data or even destroy the whole system. 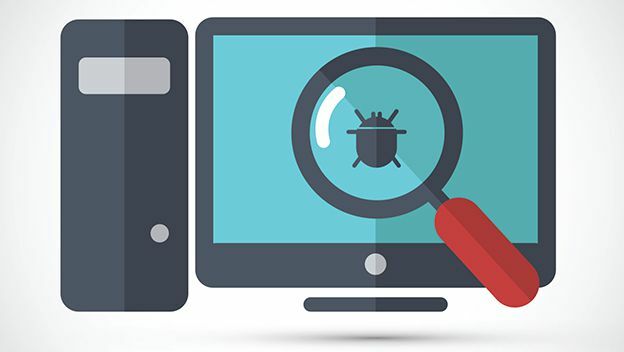 If your computer is infected, here are some software to detect and destroy malware ! IObit Malware Fighter is a free malware detection and removal software . It attacks threats of adware types, Trojan horses, worms, keyloggers, etc. This software is the ideal complement to an antivirus . IObit provides real-time protection, heuristic analysis, and the ability to launch a manual scan. However, it is only available in English. 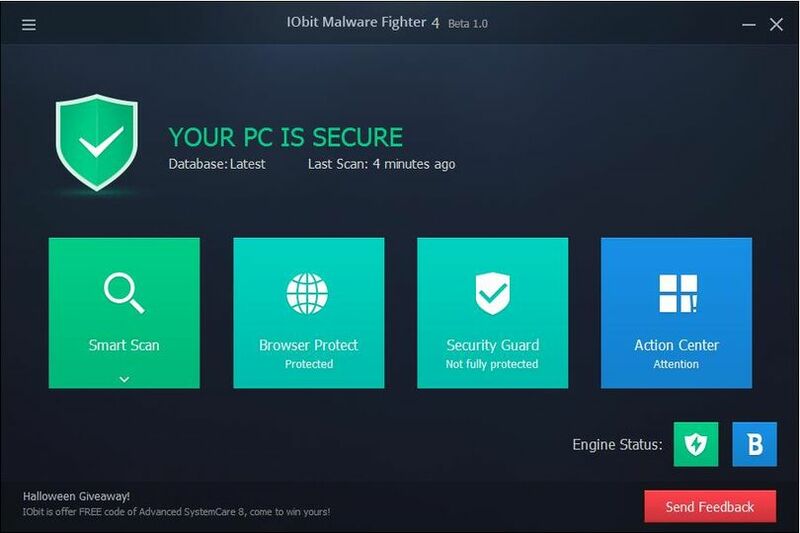 Availability: IObit Malware Fighter can be installed on any system from Windows XP to Windows 10. Spybot - Search & Destroy is a second free malware detection and removal software. It has two types of interface, one intended for neophytes and the other more pointed. Spybot provides browser vaccination against threats as well as manual scanning of the system. It is available in English only. Availability: Spybot - Search & Destroy can be installed on all systems from Windows XP to Windows 10. AdwCleaner is a free utility that detects and removes system threats. It tackles adware, toolbars, PUP / LPI, hijackers. It proposes only a manual analysis and it is necessary to be careful to download the most recent version. However AdwCleaner is an excellent complement for an antivirus or in the event of failure of another anti malware software. AdwCleaner is available in French . Availability: AdwCleaner can be installed on any system from Windows XP to Windows 10. Emsisoft Anti-Malware is a paid anti-malware. It can be used free of charge for 30 days. Emsisoft offers protection against Trojan, worm, spyware and other infections . Its protection effectively complements a classic antivirus. It allows to manually scan the system and offers a real-time monitoring, as well as a heuristic analysis. Emsisoft is available in English and French. Availability: Emsisoft Anti-Malware can be installed on any system from Windows XP to Windows 10. Malwarebytes Anti-Malware is a complete anti-malware software. It eliminates threats such as spyware, trojans, spyware, and more. The manual scanner and heuristic analysis provided by Malwarebytes are a good reinforcement for an antivirus. This software is available in English and French. Unfortunately Malwarebytes is free for only 14 days. Availability: Malwarebytes Anti-Malware can be installed on any system from Windows XP to Windows 10. TDSS Killer is a utility developed by Kaspersky . This free service mainly detects and removes rootkit threats. It provides only a manual analysis. Kaspersky's expertise makes TDSS Killer effective to flush out the most hidden malware. This utility is only available in English. Availability: TDSS Killer can be installed on any system from Windows XP to Windows 10. RogueKiller is a latest anti-malware software. He is more specialized in cleaning registers. For this purpose it allows to launch a manual analysis. RogueKiller will detect and eliminate threats while cleaning up registries. It is available free of charge in French. Availability: RogueKiller can be installed on all systems from Windows XP to Windows 10. Although conventional antivirus blocks many threats, malware can pass. The installation of anti-malware software is recommended . The use of several anti-malware is also highly recommended. Like antivirus software, these programs sometimes do not detect all malware. So they complement each other.